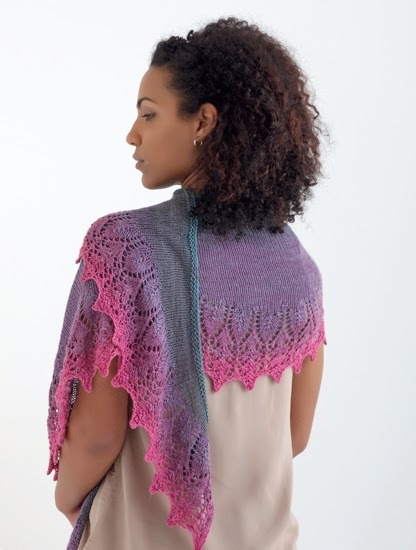 In today's Sock-Yarn Shawls II pattern feature, it's the first of the larger shawls--Starlit! This is the last of the traditional bottom-up short-row shawls in the book. 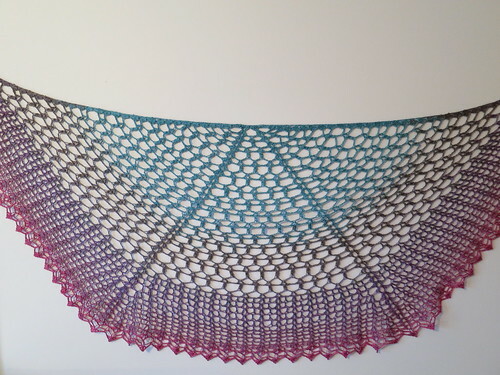 I think the gradient yarn really adds a lot of interest to the shawl. How about you? Anyway, back to Starlit. I love that this shawl is a little bit bigger than the usual short row shawls that I make. There is an almost endless number of ways to wear it! The shawl would be great in lots of colors, not just gradients. I also think it would be very pretty doing the lace in a solid color, then switching to a variegated yarn or maybe even doing stripes in the stockinette short row section. 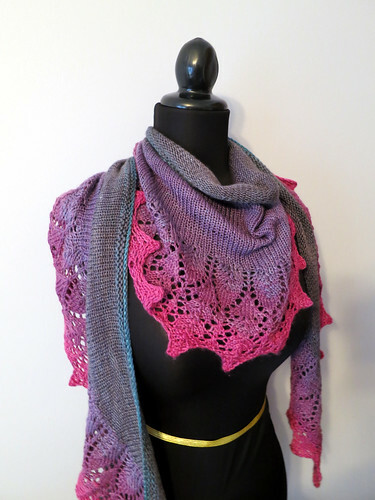 Definitely a shawl where you can play with color! Stay tuned - I'll be back on Thursday to talk about another larger shawl. It'll be all about Earth & Sky!